You need a VPN to protect your data in a world where companies have manipulated the internet to their advantage. Here’s a guide to get you started. 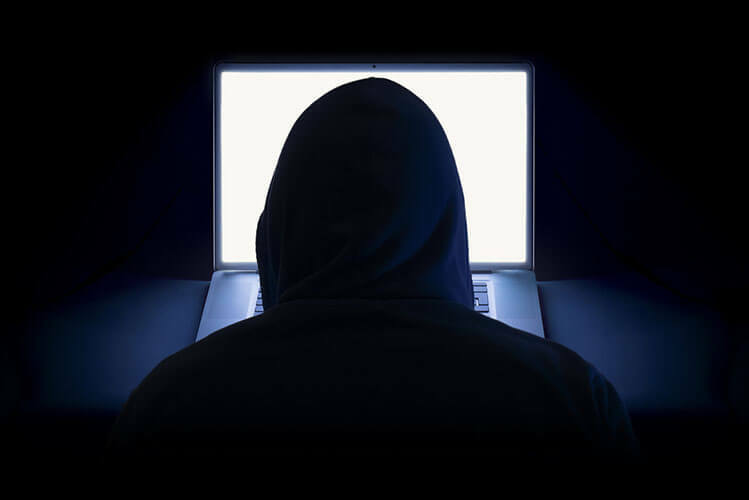 Hackers are relentlessly looking for new ways to attack unsuspecting users online. Even as users are becoming more aware of the latest cybersecurity threats, hackers continue to be one step ahead. But this doesn’t mean that users are helpless; it just means they need to adopt more strategies to stay safe. One of the many proven cybersecurity solutions recommended by experts around the world is a VPN. VPNs can protect your online identity and anonymity by supplying you with an extra layer of protection against threats. A VPN is actually an acronym, standing for Virtual Private Network. Its purpose is to provide users with privacy and security. Once it has ensured that, it allows users to communicate over the world of the internet in a safe manner. Click here if you want to read more VPN basics. The vast majority of users who make use of the internet have a lot of familiarity with concepts such as LAN, which stands for Local Area Network. Think of it as a private network which exists inside a single physical location. However, the thing about modern businesses is that they do not really run out of a single location. Most of the time, you will come across businesses that have branch offices along with divisions and departments. Not only that, these separate departments are usually geographically dispersed. In a lot of cases, the management installs LANs in each of the different offices. But do you know how do these LANs connect? Well, if a given company has enough budget resources, then they can make use of some pretty specialized solutions where the company spends the big bucks to lease private lines in order to connect all their offices. As you can probably imagine, that is usually pretty expensive. So what do smaller companies do? The majority of such companies opt to connect their geographically separated and private LANs over what we know today as public internet. After doing that, in order to protect all of their data, they sign up for and then set up VPN services between their offices. VPN services then get to work by encrypting the company’s data as it’s traversing the public internet. Such VPN services are usually known in the industry as enterprise or corporate VPN services. They are usually characterized by a single corporation or organization having full control over both endpoints of the given VPN service. Now, if you know for a fact that your company has control of the originating point (such as the department of sales) and also has control of the endpoint (such as the VPN server which is located inside the company’s corporate HQ) then you can generally rest assured that all of your data is safe and transmits securely. Unless someone manages to find a bug in your system, you do not have to worry about your data. The second kind of VPN service that is available in the market is called a consumer VPN. As the name suggests, this consumer VPN is for users who want to use the internet in their hotel rooms, coffee shops or other public places. 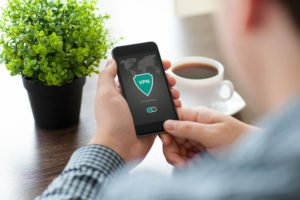 Consumer VPN services work best for users who like to connect to various different types of applications such as email, social networks, banks and/or shopping sites. Consumer VPN service providers actually assist in ensuring that they are able to protect all of their customer’s communications. So what exactly does a consumer service actually do? The first thing you need to understand here is that consumer VPN services essentially operate as a SaaS (or Software-as-a-Service) product. VPN services offer users a secure and encrypted tunnel between the user’s computer machine (it doesn’t really matter if the device is a tablet, phone or a laptop) and their own VPN server that is located in their data center. The other thing which is very important to understand for users is that consumer VPN services provide security to users by securing the data transmission from the user’s location to their own location. In other words, the data still does not have any kind of protection from the data center to the final destination. Your data doesn’t get to enjoy full protection from the beginning (your location) until the end (the destination website or application that you want to access or use). Consumer VPN services are operated and offered by a completely separate and different company than, say, your primary bank or Facebook/Amazon. These VPN services usually provide you with an official VPN app that encrypts your data. You can run this app on your internet-enabled device locally. Once the data is encrypted, it has no trouble in traveling in its new state via a tunnel directly to server infrastructure owned by your VPN service provider. Now, as soon as the encrypted data arrives at the data center that your VPN operates through it is decrypted. After that, the VPN service sends the data to its original final destination. One other thing that we need you to understand here is that when you use a VPN, two simple things almost always happen. The first is that the data always gets encrypted. In fact, if you are making use of HTTPS connections, then your web browser encrypts your data and after that, your VPN app encrypts your data. Afterwards, when your encrypted data reaches the VPN-owned data center, it is completed decrypted. And that is done just once. In other words, the VPN data center leaves the encryption put on your data by your web browser alone and/or intact. Then, that same encrypted data makes its way to the final destination website or application such as that of your primary bank or medical testing site. The second thing which always happens (when you make use of a good VPN service) is that the web application you’re using never gets to see your original and real IP address. Instead of seeing your original or real IP address, it only sees the IP of the server that your VPN service owns. And because of that, it enables users to engage in a higher level of secure and anonymous networking. Some people call this phenomenon as IP spoofing. And it is also true that a lot of online consumers use this fact to trick applications, streaming sites and websites to think that they are from a different location than their original one. In fact, VPN services enable users to not only change their location to any other location, they can change their country as well. Now, before moving on, we would like to inform you that there are many legal and illegal reasons as to why someone would want to do something like that. When Should You Make Use of a VPN Service? We have already mentioned the fact that companies need a VPN to connect their offices. But generally speaking, whenever you see that there is a need to link two LANs over the public internet, then know that you should make of VPN technology of some sort, or at least have some enterprise protection. In most cases, the VPN application would probably run via a server or a router, or even some hardware appliance dedicated to a VPN server. We have already discussed, in detail, the two major use cases for people who want to make use of a VPN service. We’ll focus on data protection in this section. Now, while everything might be convenient when you’re in your hometown working with people and technology that you trust, all of that quickly changes when you’re away from your home/office/town and want to connect to the internet. In most cases, you will have no other option but to connect to the internet via a Wi-Fi network that your coffee shop or library or restaurant or hotel has provided you. And since you want to get some work done, you can’t really complain or waste time in getting an internet connection. It is true that you will come across Wi-Fi networks that have passwords on them. But you will also come across those which are completely and absolutely open. From our perspective, it does not really matter since both are unsafe. You never know who or what is accessing the network you’re connected to. And following from that, there is no way for you to know that someone is not snooping on you and your data and what you on the internet. That is the reason why we always recommend that users should make use of a VPN service whenever they’re in a situation where they have to connect to a Wi-Fi network that belongs to someone else. If you are traveling or are simply away from your home or office and are accessing a Wi-Fi network that belongs to either a friend or a family member (since there is no way of knowing if a hacker has compromised their network) or anyone else, then use a VPN without giving it a second thought. This rule is particularly important for users who access the internet in order to exchange or handle personally identifiable information. The other thing that you need to remember here is that most activities that happen online are things you never get to see. And for the average online consumer, there is no way to know if any of your given applications are carrying out the authentication process properly in the background. You may never know if your favorite application is putting all of your sensitive information on the internet at risk. Whenever you have a need to hide something, you should use a VPN. If you are in a restrictive country, then you should use a VPN. That is pretty much what you need to know as far as this section is concerned. While there are many free VPN services out there in the market, we usually avoid all of them. This is because running a VPN business requires a good bit of infrastructure. And if a company does not have money to cover all the costs, it cannot live for long. VPN services have to charge money to people for their services not because they want to rip people off but because they want to cover their costs. There are network pipes in the equation along with VPN servers and employee salaries. Somehow the VPN service has to figure out how to pay for all this infrastructure. The primary way to pay for everything is to charge users a subscription fee. Now, if a VPN service is not making use of this revenue-generation model, then it is probably paying for all the infrastructure by gathering data on its users for advertising. Some reports have indicated that various malware developers and cybercrime operations are now offering free VPN services to gather data on unsuspecting users. These freeware services do not protect you. They exist to collect your information and then they sell that information to whoever offers them the most money. Free VPN services, for the most part, pose more risks to you instead of protecting you. The only situation in which you should use a free VPN is if you only want to unblock some website and do not really care if a service mines you for your data. And then think about making a decision. Does a VPN Slow down Your Computer or Internet Connection? What we really mean to say here is that in the old days, the actual process of decrypting and encrypting data packets would almost certainly take a huge toll on the performance of the CPU. But things have changed now. Modern CPUs are very fast and very efficient. They are also multi-cored. Hence, they are able to run the majority of the crypto algorithms without any noticeable impact on the overall performance of the processor. Of course, the situation changes dramatically if we’re talking about network performance rather than CPU performance. Firstly, from a practical point of view, you will only use a VPN service when you’re in a public place. Of course, there is no limit on using a VPN service at home either. Regardless, public Wi-Fi networks are not exactly fast. In fact, in the vast majority of the cases, public Wi-Fi networks are unusable at worst and “meh” at best. To put it in simpler terms, the mere fact that a user is trying to work remotely means that the network would have mediocre speeds and that would, in turn, reduce the overall performance of the user’s connection. However, one other aspect that a lot of users tend to ignore is the fact that whenever a user connects to a VPN server that is located in a different country than the user’s home country—that automatically downgrades the user’s network performance. So what you need to do is to follow one rule: Try your best to connect to a server that lies within your city or country. The more domestic your connection is, the more speed you will get to experience. With that said, one should also not forget that the internet is inherently a chaotic place. Some days you will get great speeds. Other days, you will experience slow speeds. Our research shows that if you are staying in a hotel and want to make use of the hotel’s internet connection then you should do so before 9 p.m., as after this point, the performance usually drops exponentially. This is because most the guests at the hotel probably have things to do during the day and come back to their rooms to relax at night. To do that, they are probably watching Netflix or other streaming services. This can clog any network, let alone an already mediocre hotel network. What Does Net Neutrality Mean for VPNs? As far as the U.S. is concerned, net neutrality has taken a huge hit. The FCC (Federal Communications Commission) has done all it can do to eliminate a vast portion of consumer protections that existed in the U.S. to stop internet service providers from harvesting user data and then selling that data to third-party advertisers. Net neutrality elimination could jeopardize the security of users’ data. No one is going to object to Comcast knowing more about their passions and hobbies. In fact, online consumers may even appreciate that the internet is showing them only those ads that they are interested in. The problem comes when online consumers want to do something privately. We’re talking about financial transactions, medical advice searches, relationship searches, and the like. People who work as journalists and have to report on sensitive matters need as much privacy as they possibly can to keep the powerful under check and accountable to the law of the land. However, problems can still arise even if a given user has nothing to hide. Internet service providers could start injecting their own advertisements in place of advertisements that their rivals might have put up on certain sites and in certain places. That potentially could kill off a ton of websites that do not have any revenue generation model except for ads. Should You Use a VPN When You’re Home? Well, we do not think that you absolutely have to make use of a VPN service if you are at home and do not do anything sensitive on the internet. Of course, that changes if your work involves you working with confidential information—in which case, there’s no question about whether or not you should use a VPN service, because you should. However, to dispel conspiracies, it’s worth noting here that we have seen no evidence so far which suggests that internet service providers have employed intrusive surveillance programs in the U.S. that violate user privacy. In other words, use VPN services when you want to do something important on the internet. You do not need to have your VPN service turned on all the time. For the most part, yes, but there are exceptions. Using a VPN is legal to use in the vast majority of the 195 countries that exist today globally. However, there are some countries where you could get into trouble for using a VPN service. One of them is the United Arab Emirates. Of course, a lot will depend on what do you do when you use a VPN service. If you are not doing something illegal then you should be safe. On that note, we would also like to mention that just as VPN services are illegal to use in many countries, the same holds true for proxy services as well. Generally speaking, any form of service that allows you to spoof your IP is illegal in some countries. The fact that a service is labeled as a VPN service does not really matter. Another thing we want you do understand is that the actual restrictions on VPN services vary in different countries. The penalties for using a VPN service also vary. Just to take an example, China permits users to make use of approved VPN services. However, if law enforcement agencies catch you making use of another VPN service then you could spend some time in jail. The government there can also fine you, at a minimum of $100,000 USD. This is why you should heavily research VPN usage in the country that you are going to visit. A lot of international travelers think that because they do not register as citizens of the country that they are in, they can use a VPN service as they wish. But this is not true. The same holds true for people who are only linking back to their company’s corporate system. Do not make this mistake. The simple bottom line is that you should read up on the laws of the country that you are going to stay in before you actually make use of a VPN service to connect to the internet there. Our recommendation is that you should always check with the VPN service that you have subscribed to as well. Most good VPN service providers will have no problems in telling you if their service works in a given country and if they have solutions to connectivity issues in certain countries. Do You Need a VPN If You Have Wired Internet Connection at a Hotel? The long answer is also yes. But let’s get real: It is highly unlikely that the hotel you are staying in offers a dedicated subnet to each room. Hence, you should assume that data packets which are traveling across the internet will have to go through a network that’s shared by other guests. Additionally, there is no way for you to know if the person sitting at the front desk has installed and set up software for packet sniffing. For all you or we know, the hotel could be making money off their guest information by mining it. If you are staying in a hotel, use a VPN service. That holds true even if you have a wired internet connection. Do I Need a VPN on a Tablet or Mobile Device? 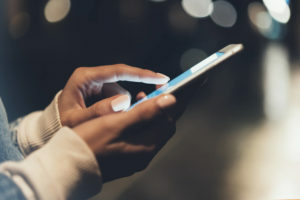 As far as basic VPN capabilities are concerned, both iOS and Android platforms enable users to form secure connections with their corporate networks. Generally speaking, the user’s IT organization would take it upon itself to advise the user when and how to use a VPN feature. However, we have already mentioned that whenever you find yourself away from home or even your office, you should use a VPN service because you will have no choice but to connect to a Wi-Fi connection that is open and public. 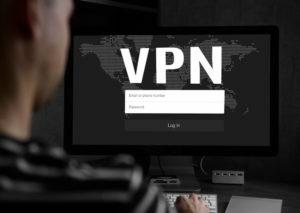 Users who like to connect to heavy web applications such as Facebook or Gmail should also think about using a VPN service. Again, the reason is the open and public Wi-Fi network that you have connected to. The majority of the decent VPN service providers offer both Android and iOS clients so you should have no problems in using a VPN on your mobile device, no matter its size. Do I Need a VPN for LTE Internet Connection? Again, it really depends on the situation of the user. If you’re working from a remote location, it’s incumbent on your organization’s IT department to let you know about its official policy on how to form a direct connection to the official corporate network. Most of the time, you’ll find that just by making use of the default VPN client built in to your operating system is sufficient. On the other hand, it also depends on you. How much trust do you have in your mobile phone carrier? You should also think about the country in which you are staying and how secure you want your connection to be. For example, in the U.S., the majority of mobile carriers are reliable. Of course, since there is no net neutrality anymore, that could change. But for now, you can rest knowing the fact that you have a secure connection from a U.S. carrier. Modern hackers, though, are a clever bunch of people. They now have the ability to launch man-in-the-middle cyberattacks even when the user is making use of wireless phone service. In a MITM attack, a skilled but malevolent actor takes steps to place an internet-enabled device which is designed to confuse the user’s device. Once this happens, the device mistakenly connects to what it sees as a phone network. However, the phone network in question is not a regular network. It is a network that some hacker has placed near the user for the purposes of spying. Now, if we are talking about people living outside the U.S., then things depend solely on the country they’re living in. For users who are legitimately concerned about their online security, they should avoid bringing any kind of internet-enabled device in a foreign country. You can use your device after you are done with your trip. Remember, your internet-enabled devices are susceptible to hacking in a foreign country as well. A hacker can steal data even when customs officers are inspecting your devices. Similarly, you have to take some security measures when you are connecting to the internet via your own country’s local carrier. There is no telling if the carrier that you are connecting to is actually intercepting all of your online traffic. This holds especially true if you belong to the non-native population of the nation. If you find yourself in such a situation, and if you cannot live without connecting back to various services and applications from home, then making use of a good VPN service is absolutely the least you can do in order to secure your data. Apart from that, you should also keep in mind that when you’re connecting your computer to the internet via your phone’s hotspot then you need to make use of a VPN service on your computer too. Another thing that is always worth a reminder is that not all countries consider using a VPN as legal (as discussed above). Again, always research the local laws of the country that you are in and are going to before deciding to use a VPN. What Is a Kill Switch & What Does It Do? In simple words, a kill switch feature of any good VPN service cuts off the user’s internet connection as soon as it detects that the user’s VPN connection has dropped for some reason. The first kind runs from within the VPN app that you have installed on your device. If your VPN connection drops and the VPN app is running, then the VPN app would turn off your internet connection. However, if the VPN app itself fails, then the kill switch would obviously fail as well. Consequently, all of your data and IP address may leak to the wider world of the internet. The second kind of kill switch is the one that works at the operating system’s level. You should think of these kill switches as driver-level systems. In other words, these features run regardless of the fact if you have your VPN app running or not. Because of that, such kill switches are able to provide users with more protection online. Almost all great VPN service providers offer a kill switch feature. So you do not need to work too hard in order to find the one that offers a kill switch right out of the box. Remember that in the beginning, your kill switch feature may annoy you since it will drop your internet connection every time your VPN app drops the connection. So be prepared for that. After a while, you will get used to it and will have no problems in appreciating kill switches.